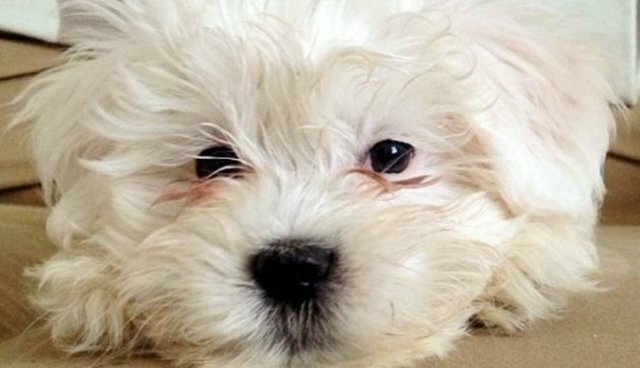 Milo, a five-month-old Maltese puppy, has been reunited with his owner after doing time for "illegally" crossing the UK border. According to Milo's teenage owner, Eleanor Donkin, she had no idea that the dog had been brought into the country without proper paperwork, until a routine visit to the vet revealed that the puppy had been imported from Holland illegally. Milo was missing his rabies vaccination, and the UK's Trading Standards commission took the dog into custody. "We'd spotted him online and met up with the seller to have a tentative look," Donkin told one reporter. "We had no idea there was anything wrong. He was such a lovable, perfect puppy and I was so happy to have him in my life." Donkin bought Milo from John Graham, who allegedly imported 10 puppies with "dodgy paperwork," though he claims he didn't know the dogs were not immunized. According to the Daily Mirror, one of the puppies died, two had to be euthanized, and seven -- including Milo -- were taken into custody. Thankfully, Milo was able to receive vaccinations during his quarantine, and he has since returned to his family -- happy and healthy. "I couldn't imagine life without my little ball of fur," Donkin said. "We're delighted to have him back."